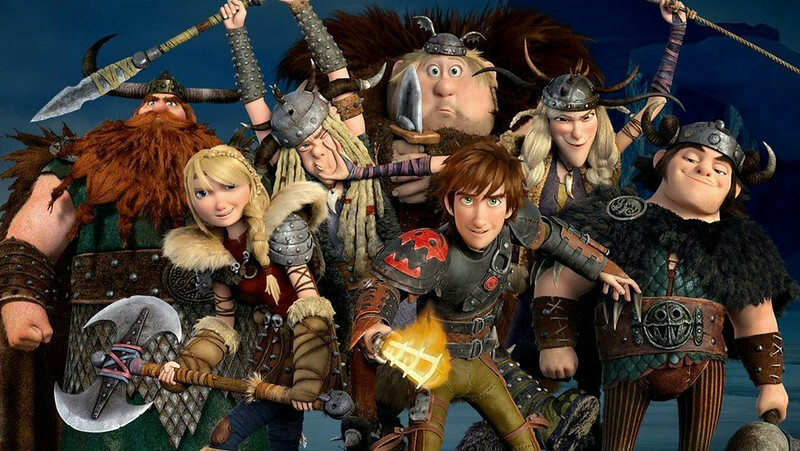 Hiccup, Toothless and friends are back for another adventure in How to Train Your Dragon 2. Remember that touching story between a boy and his dragon back in 2010? Well, this is that again but with more dragons and story. Think this movie can recreate that magic? I didn’t need to watch a lot of trailers and movie previews to look forward to this movie. The first one has a special place in my movie queue that I watch every so often. The animation was great, characters were great, I liked the voice casting and just everything about that movie was heartwarming and not in a kiddie sense, but in an I’m-not-ashamed-to-like-and-watch-this movie. Story takes place 5 years after the original movie. Hiccup and friends are all grown up and are a bit wiser. The conflicts that they have are more adolescent related like Hiccup’s dad wanting him to take more responsibility. The boys are also all grown up so there’s a love plot there somewhere. Dragons have pretty much settled in their hometown, Berk. The most significant is how the Vikings have developed their relationships with their dragons. Hiccup is still his free-spirited self who, by way of dragons, explores and discovers a whole new world out there. He runs into his mom, and new dangers that they have to conquer together. Almost the whole cast from the first is back. Jay Baruchel (This is the End) still does a great job of bringing his character, Hiccup, to life. Same goes for Gerard Butler (300, Phantom of the Opera) who plays Hiccup’s dad and village chief, Stoick. Returning for their roles as well are Craig Ferguson, Jonah Hill and Kristin Bell. I have nothing but praise for these folks since they make the characters feel alive and real. The newcomers are also aplenty and great. Cate Blanchet (LotR) plays Hiccup’s mom, Valka, and does an accent I have never heard her do before. When you think Cate, I always associate with the elf from LotR, but she does this role just great. Kit Harington (Game of Thrones Jon Snow who doesn’t know anything) plays the dragon trapper Eren son of Eren. I was quite surprised at this since I had no idea he was the voice behind this guy who I really had fun watching. Lastly, it’s Djimon Hounsou (Gladiator, Guardians of the Galaxy) plays the antagonist Drago Bludvist the conqueror. I used to like him playing the good guy, but he just voices this villain so well. I really felt the hate. From start to finish I felt the swing of emotions from excited, to happy, to sad, to angry to happy again and this is not a bad thing. The story was paced very well, there were only a few moments in the movie where there was a lull but they recover very well. The plot points are clear, each character’s motivations are fleshed out and the tale is open ended but satisfying enough. The movie I watched was shown in 3D but I didn’t really feel the need. It enhances it a little but I found myself taking off the glasses at certain points so I could see the vibrant colors of the movie without any filters. I had fun watching How to Train Your Dragon 2. It is more of the first movie so if you liked that, then you will like this. They don’t try to cram a lot of story and it is fairly straightforward which is perfect for a family movie. If you’re in the mood for something light, relaxing and fun, go watch this. A DreamWorks Animation film, “How To Train Your Dragon 2” opens June 11 in cinemas (available in 2D, 3D and 4DX format) from 20th Century Fox to be distributed by Warner Bros.